20 spoke front wheel handbuilt with Rödel aero spokes. 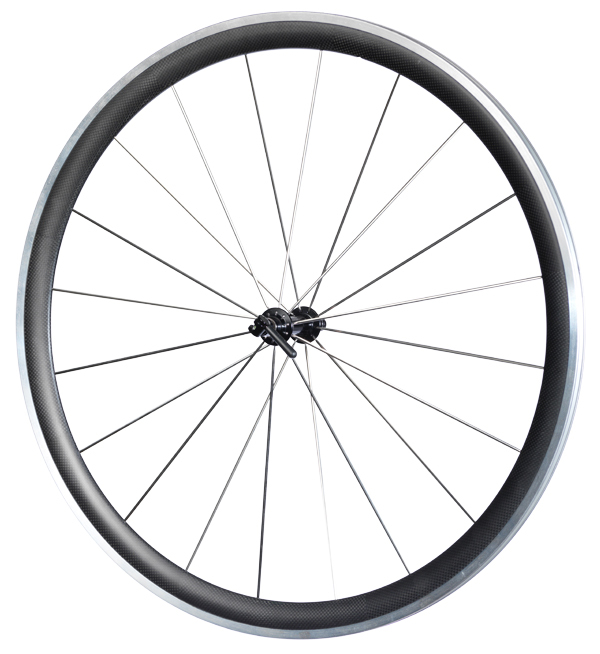 Carbon Aluminium composite clincher rim, hub Novatec Ultralight featuring QR skewer with removable lever. 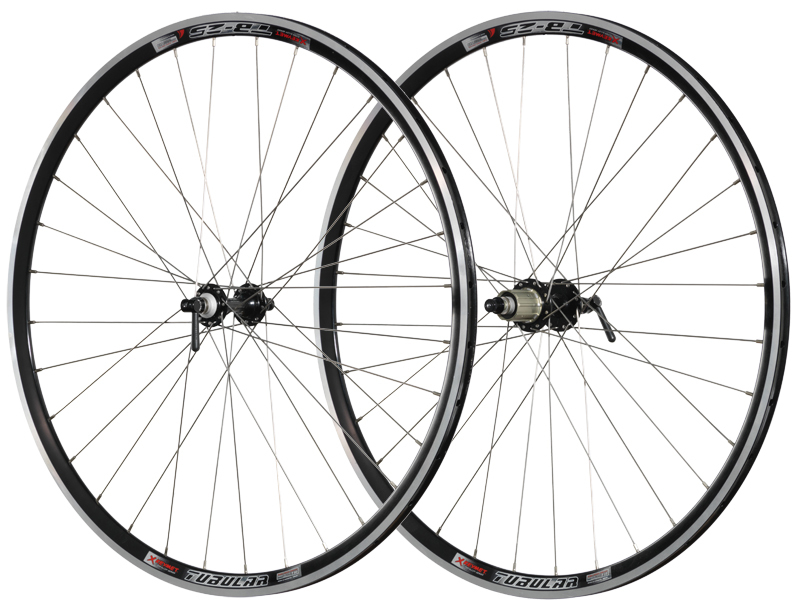 Hand built wheel set 32 hole front and rear using Mach 1 double-butted stainless steel spokes. 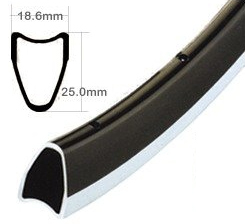 TB25 black anodised rims with machined braking surface for tubular tyres up to 23 mm. Novatec 10 speed Shimano compatible light weight hubs featuring skewers with removable lever.